You’re going to need sushi grade tuna for this one, because the fish is raw – and all the other usual precautions about raw fish do apply. It might be a little hard to get the special tuna, but this isn’t the kind of recipe you’d make every day anyway. 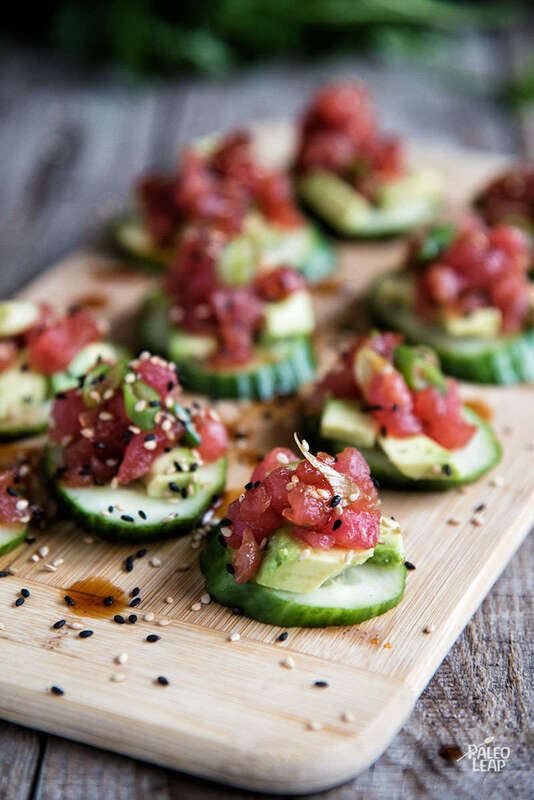 If you can’t get good raw tuna, you could try a variation with cooked tuna – that would also be good, but it is really different. Try these as an appetizer for a fancy dinner, or as party food when you’re really looking to impress someone. It’s an easy recipe to pull out for something fancy that doesn’t eat up a lot of your time.